Anyone can introduce natural cholesterol control into their diet, if they make themselves knowledgeable on the many different good cholesterol foods there is on offer. That is, food that naturally helps a person maintain a healthy cholesterol level. Before I had my cholesterol level checked by my doctor, my diet consisted of processed food, high-carbohydrate meals and plenty of fat, all of which contributed to my high cholesterol. I decided to make a list, a simple collection of the types of food I could introduce into my diet that would enable me to work on lowering this level. Not only would I include the foods in their basic form, I would also include an example of how I could eat them that may make the transition from unhealthy to healthy eating much smoother for me. Peas, lentils, beans and peanuts are all legumes and all are considered good cholesterol foods. Unfortunately, this type of food is the sort I would normally avoid like the plague; I mean it is hard to get excited about beans and lentils when steak and chips is so much tastier. 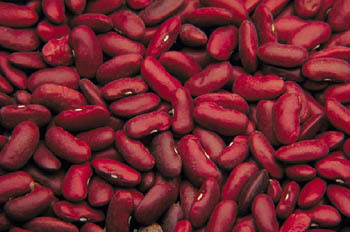 Having said that, I can’t take away the fact that legumes offer a fantastic source of soluble fiber. For example, just half-a-cup of lima beans provides around 3.5-grams of soluble fiber. One study focused on in The Journal of Nutrition found that if an individual ate just half-a-cup of simple, dried pinto beans every day for 12-weeks, they could reduce their low-density lipoprotein (LDL) level by up to eight-percent. Now pinto and lima beans may not seem the most attractive thing to be eating on a regular basis but they actually make a tasty addition to homemade soups. My favorite addition to my new natural cholesterol control diet plan is to use a mixture of beans and lentils in tomato pasta sauce as a substitute for the meat. The taste is obviously different but tasty and the consistency makes this dish a real healthy treat. A definite must for those people, like me, who have a habit of comfort eating at the end of a rough day. Before looking for ways to reduce my cholesterol level, I was a real butter fiend. In fact, I would often start the day with a couple of slices of toast with lashings of thick, creamy butter. Of course, this did absolutely nothing for my LDL, as it is butter and other similar solid fats that cause a person’s cholesterol to rise. However, all is not lost as certain oils not only help maintain a healthy LDL level, they can also help to reduce it. Sesame, sunflower and soybean oil will all help reduce your LDL level. However, oils such as canola, avocado and olive not only decrease LDL cholesterol, they help increase a person’s high-density lipoproteins (HDL). I am the first to admit that, while I have used olive oil regularly in my kitchen, I had never heard of some of these “good” oils, much less tried any of them. I can, however, fully recommend both canola and avocado oil, which both make a great vingerette for salads when mixed with a good vinegar. If you like to cook with oil, both olive and sesame oils make a healthy alternative to vegetable oil. It is important that your diet does not contain too much of any oil though, around one teaspoon per meal is more than enough, as it is high in calories and fat. If you are anything like me, you will have absolutely no idea what counts as a plant-sterol food and what doesn’t. Plant-sterol is a compound that occurs naturally in certain vegetables, fruits, oils, grains and nuts. Plant-sterol compound occurs in higher amounts in certain fortified foods. This compound prevents cholesterol from being absorbed into the bloodstream, without affecting an individual’s HDL level. I was shocked to discover that eating just two-grams of any plant-sterol food every day could reduce my cholesterol by as much as 15-percent. Despite never hearing of them before, introducing plant-sterol foods into my diet was really easy. A glass of orange with a portion of oat-topped yogurt in the morning provided me with a filling breakfast that actually left me feeling refreshed. I also found an alternative to help curb my buttered toast addiction. I simply replaced the old version with toasted wholegrain bread and fat-free margarine. Cutting back on alcohol wasn’t really a problem for me, as I have never really been much of a drinker. However, like most people, I do enjoy a glass of wine with a good meal as a treat or as part of a celebration. It was something of a relief than to discover that red wine is actually beneficial to a natural cholesterol control diet. Full of things known as polyphenol antioxidants, red wine is known to reduce an individual’s LDL levels. To achieve maximum benefits, moderation is key, which means one glass of red wine per day for a woman and two for a man. These little red beauties have always been a favorite of mine, although usually as part of a cheese sandwich that meant I never really benefited from the healthy advantages a tomato has to offer. As well as having potential anti-cancer agents, tomatoes also contain lycopene – an antioxidant that, when consumed on a regular basis, can reduce your LDL level by as much as ten-percent. I love tomatoes, so eating them was never going to be a problem for me. I did find that drinking tomato juice, as well as adding tomato sauce to pasta dishes and tomatoes to salads helped me keep my menu interesting. According to my research, cooking tomatoes in a little bit of olive oil actually helps your body absorb greater levels of lycopene. 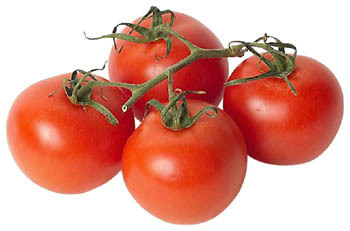 I have to admit, of all the cholesterol lowering foods out there, tomatoes have to be among my favorite. I don’t dislike fruit and vegetables, yet when I accessed my old diet I realised I had barely any greens or fruits in it. Considering I am a middle-aged woman and not a stroppy toddler, I really should have known better. I am therefore going to make a conscious effort and ensure I include plenty of fruit and vegetables in my new natural cholesterol control diet. According to Government guidelines, your dinner plate should be at least half full of fruits and vegetables. While any vegetables are a good addition, some are classed as better cholesterol lowering foods than others. For example, the dreaded brussel sprout offers three-grams of soluble fiber per half-cup. Plums, nectarines, medium pears and banana are the best of the fruits. An average sized potato with the skin left on is also a good source of soluble fiber and therefore beneficial to those who want to lower their cholesterol. I still have so much to learn, especially when it comes to natural cholesterol control. I have learned, however, that even some of the food I may have automatically considered as bad, can actually be good. For example, cocoa found in plain chocolate contains antioxidants that make it easier for the body to avoid absorbing cholesterol in high amounts. It is all about moderation, knowing what to eat and what best to eat with it. However, any diet that allows me to eat chocolate, even in small amounts, is definitely a bonus to me.